Amazon finally announces the Kindle Fire, their first tablet at a conference today. The conference, held in New York, had Amazon founder and CEO Jeff Bezos speaking about the new toy that comes for less than half the price of the $499 iPad. 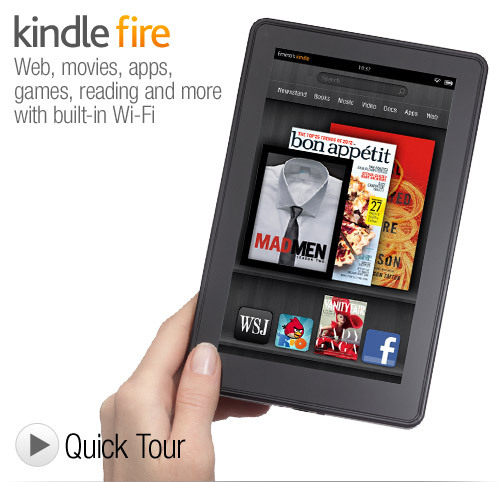 Yes, the Kindle Fire will be yours for only $199. Having said that, we doubt that it will actually compete with the iPad! Not that we don’t want to, but the fire falls in a different category of experience altogether. 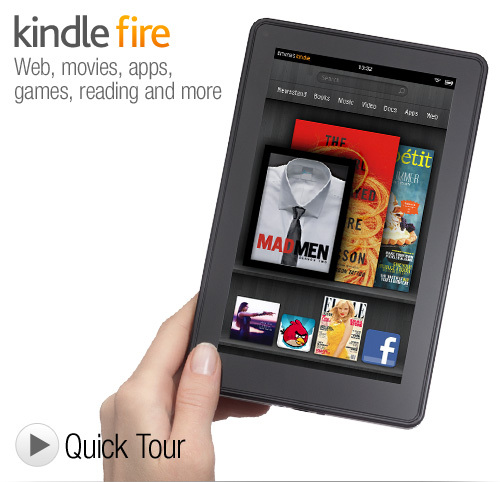 The tablet has a screen size of 7-inch, and is more of an upscale version of their Kindle eBook reader. It will run on Android, although the exact version was not confirmed. CEO Jeff Bezos says during the conference that he is looking at e-commerce dominance with the help of this new toy, as reported by Bloomberg. The tablet will be a Wi-Fi only version with no camera and microphone, and weighs 14.6 ounces (about 0.41kg). It will have a trial subscription to the Amazon Prime, the company’s $79-a-year membership service that includes streaming video and free two-day shipping. The tablet will be available on November 15th, but you can pre-order it right away.